We do like a good lunch at Q+H and are spoilt for choice being based near the creative hub around Charlotte Street but we went to lunch with a difference last week, the lunch! show. 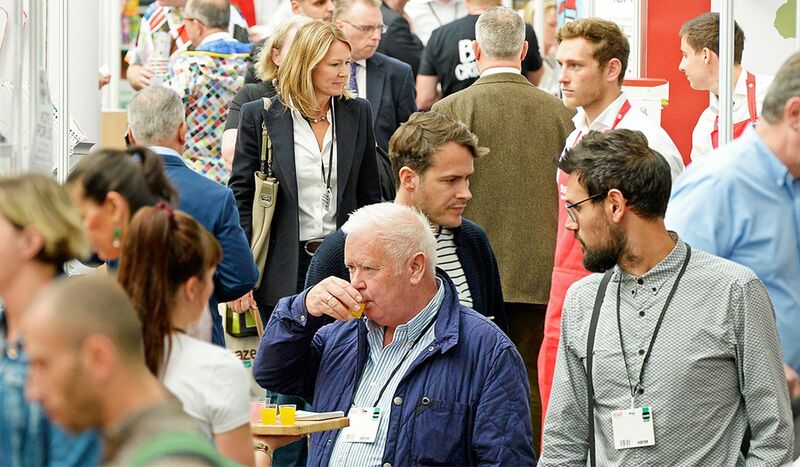 It is important that we keep up with the food trends at Q+H and where better to go to the annual show that brings together the entire food-to-go industry under one roof, lunch! at ExCel London. It was great to meet up with some current clients, old friends and made plenty of new ones. The sheer choice of new and upcoming brands was amazing, with great examples of innovation in drinks, food and technology. The food-to-go sector (or grab and go) is ever expanding as workers spend more time at their desks and less time on the traditional lunch hour. According to new research from WorkThere we are only spending 34 minutes on lunch, which includes eating, socialising with colleagues and trying to organise our personal lives. Brands, both established and new to market, have recognised this trend bringing food-to-go to the forefront especially for breakfast, snacking and lunch. We can’t list all the great brands that we came across, and recommend that you visit next year, however we will run through some of the highlights. CanO Water, with its striking stripped back branding, has introduced water in a can as a highly recyclable alternative plus an innovative smart resealable lid. Aluminium cans have the highest recycling rate of any drinks and the raw material could be back on the shelf within 6 weeks. Protein bars have exploded onto the shelves and tempt you at the checkouts. Vive have introduced protein bars that are 100% clean, unlike some of the other bars on offer. Only using natural ingredients, they are hoping to break through the noise in this category, with a range that includes a tasty peanut butter jelly version. The branding is bold and uses colour to differentiate the flavours. Not for the squeamish Eat Grub have a new protein snacking range made from insects such as crickets. The bars have been around for a while now, but they are coming to market with a snacking range that could rival crisps and peanuts with your pint of craft ale. We also enjoyed the innovation winning folded and filled naan breads from Jake and Nayns’, the kefir drink from Bio-tiful Dairy, amazing chocolate from Doisy and Dam, tasty snacks from Well and Truly, Cocopro energy drink launched by ex-international rugby player Rory Lawson and the fruit teas with great taste and branding from TEA REX. The team are looking forward to sampling more of the brands from our goody bag and the event next year. Q+H London Ltd. All rights reserved.